1. Ginger Contains Gingerol, a Substance With Powerful Medicinal Properties... It is often called ginger root, or simply ginger.Ginger has a very long history of use in various forms of traditional/alternative medicine. It has been used to help digestion, reduce nausea and help fight the flu and common cold, to name a few. 2. Ginger Can Treat Many Forms of Nausea, Especially Morning Sickness... 1-1.5 grams of ginger can help prevent various types of nausea. This applies to sea sickness, chemotherapy-related nausea, nausea after surgery and morning sickness. 3. Ginger May Reduce Muscle Pain and Soreness... Ginger appears to be effective at reducing the day-to-day progression of muscle pain, and may reduce exercise-induced muscle soreness. It involves degeneration of the joints in the body, leading to symptoms like joint pain and stiffness. There are some studies showing ginger to be effective at reducing symptoms of osteoarthritis, which is a very common health problem. 5. 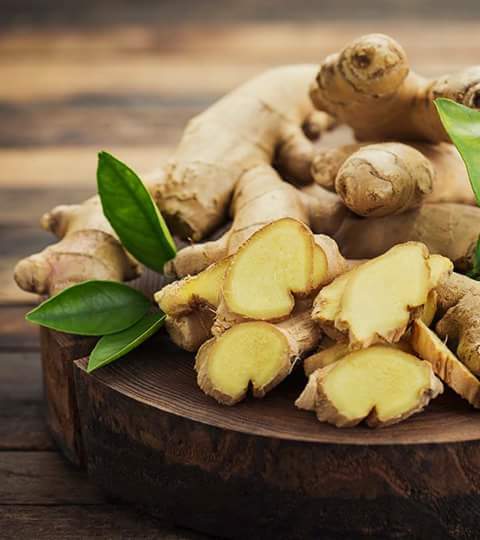 Ginger May Drastically Lower Blood Sugars and Improve Heart Disease Risk Factors... Ginger has been shown to lower blood sugar levels and improve various heart disease risk factors in patients with type 2 diabetes. 6. Ginger Can Help Treat Chronic Indigestion... Chronic indigestion (dyspepsia) is characterized by recurrent pain and discomfort in the upper part of the stomach.Ginger appears to speed up emptying of the stomach, which can be beneficial for people with indigestion and related stomach discomfort. 7. Ginger Powder May Significantly Reduce Menstrual Pain... Ginger appears to be very effective against menstrual pain when taken at the beginning of the menstrual period. 8. Ginger May Lower Cholesterol Levels... There is some evidence, in both animals and humans, that ginger can lead to significant reductions in cholesterol and blood triglyceride level. 9. Ginger Contains a Substance That May Help Prevent Cancer... Cancer is a very serious disease that is characterized by uncontrolled growth of abnormal cells. Ginger extract has been studied as an alternative treatment for several forms of cancer. There is some, albeit limited, evidence that ginger may be effective against pancreatic cancer, breast cancer and ovarian cancer. More research is needed. 10. Ginger May Improve Brain Function and Protect Against Alzheimer's Disease... Studies suggest that ginger can protect against age-related damage to the brain. It can also improve brain function in elderly women. 11. The Active Ingredient in Ginger Can Help Fight Infections... In fact, ginger extract can inhibit the growth of many different types of bacteria. It is very effective against the oral bacteria linked to inflammatory diseases in the gums, such as gingivitis and periodontitis. 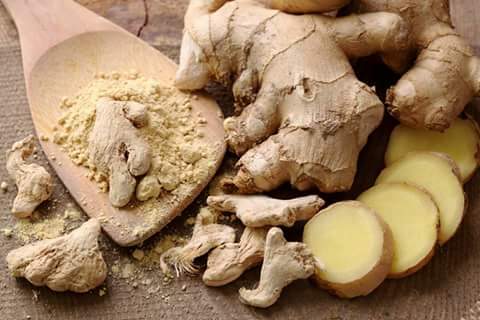 Fresh ginger may also be effective against the RSV virus, a common cause of respiratory infections. I hope you are more enlightened on the benefits of Ginger. Share to family and friends. No knowledge is a waste.